You've been given a cookie for helping someone out. Thanks! 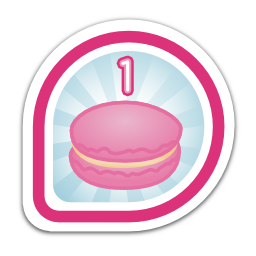 2.0% of people have earned this badge. First earned by riecatnor on 2015-03-18. Last awarded to xvitaly on 2019-04-16.
kanarip jkurik ohaessler blanquita yaderv bkabrda tomspur lnovich ignatenkobrain rkuska paulmezz flepied slinabery underscores tpokorra simo mizdebsk fedora snavin yaneti bitlord mimccune tremble mhayden vim n3lrx jdulaney lsm5 striker nerdsville otaylor thm nightling jfilak acarter dmach zoglesby sam08 riecatnor ralph adamwill mattdm puiterwijk kushal toshio potty robyduck yn1v abompard pingou dvratil jgrulich sgallagh czanik jsmith levex lbazan wolnei zoltanh721 ryanlerch inode0 lmacken besser82 ltinkl duffy cryorat kevin gnokii rdieter ausil echevemaster xhaksx aeperezt blackfile valentinbasel richzendy kkofler rsuehle kalev mock tatica lletelier asrob alexove ankursinha ggs fale jorti robert sophiekovalevsky teferenc churchyard dbruno cwickert satellit jreznik decause langdon mailga parasense immanetize pnemade vondruch smooge itamarjp twoerner pfrields eischmann pravins mciahdenn adrianr strikerttd jhradile pbokoc social lupinix subho acidrainfall noriko mleonova williamjmorenor pyrox chandankumar volter josereyesjdi k3npty creaturahpc mayorga nphilipp sentabi searchsam leogg porfiriopaiz crisvann lennart wporta flo spot akurtakov nonamedotc oddshocks gchamoul heliocastro jruzicka lilixx srkraken asoliard villadalmine kashyapc ... and 939 other people.